It is our goal to aid this independence for Munich based freelance choreographers who work in the field of contemporary dance. The choreographers and dancer Jasmine Ellis provides in collaboration with Tanztendenz Munich each month for one week an affordable professional contemporary dance training. A different International guest teacher teaches each block. Bad Lemons training follows the momentum of Munich DancePAT which offered professional training to the community 2016-2018 and was co-directed by Jasmine Ellis & Katrin Schafitel. Get regular news updates on contemporary dance and performance in Munich. 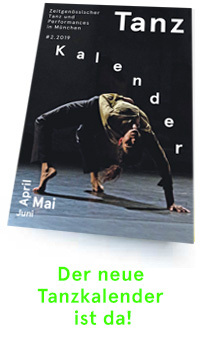 We send out a newsletter with all contemporary dance premieres in Munich. In addition we publish information on workshops and courses that Tanztendenz and its members organize.